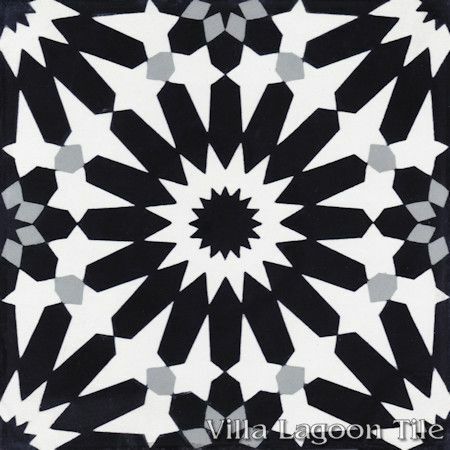 This wild geometric starburst is a classic example of the geometric Islamic art of Northern Africa and Southern Spain. 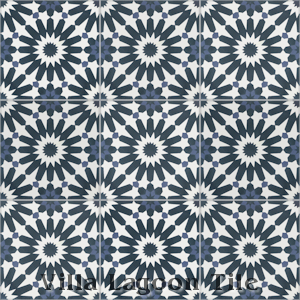 We call this "Tangier Petite", because it's a half-scale version of our popular "Tangier" Moroccan pattern. 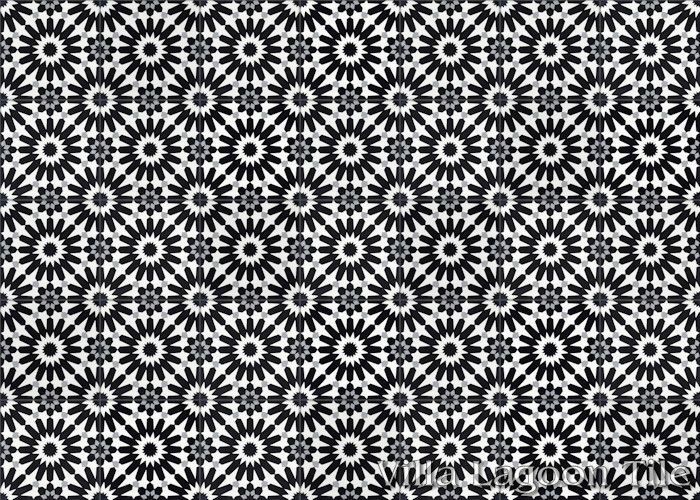 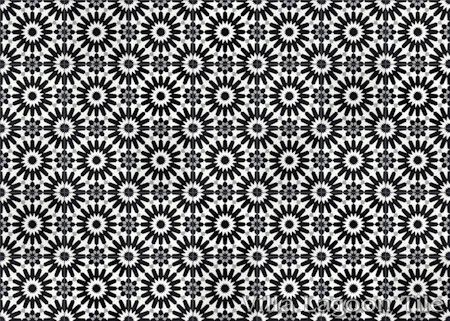 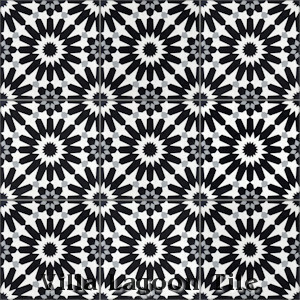 36% Off: $3.99 per tile ($9.18 / square foot) 5.22 square feet. 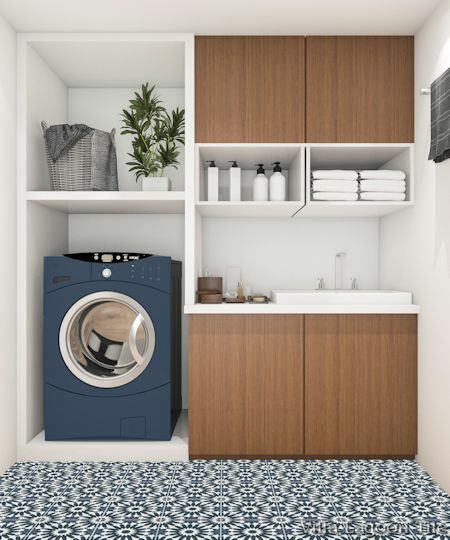 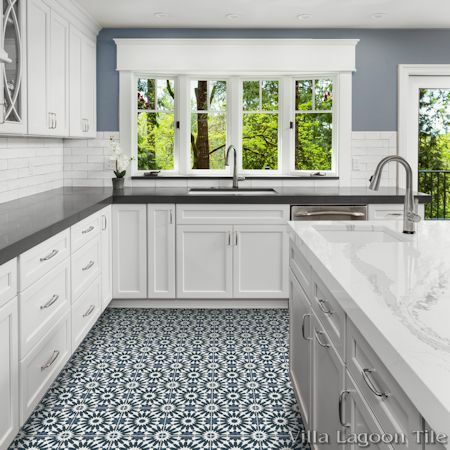 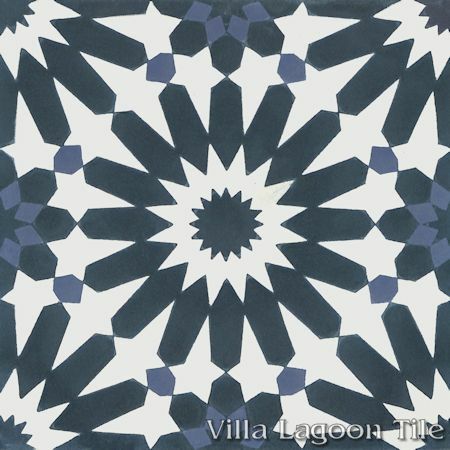 Villa Lagoon Tile's "Tangier Petite" cement tile pattern using White, Washed Denim, and Aegean blues from the South Beach Palette. 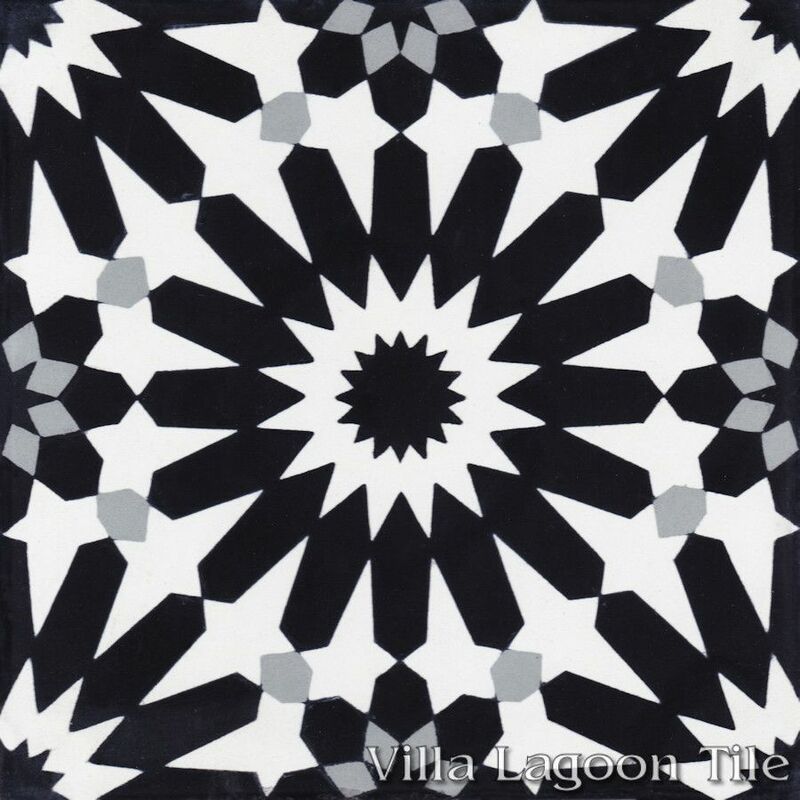 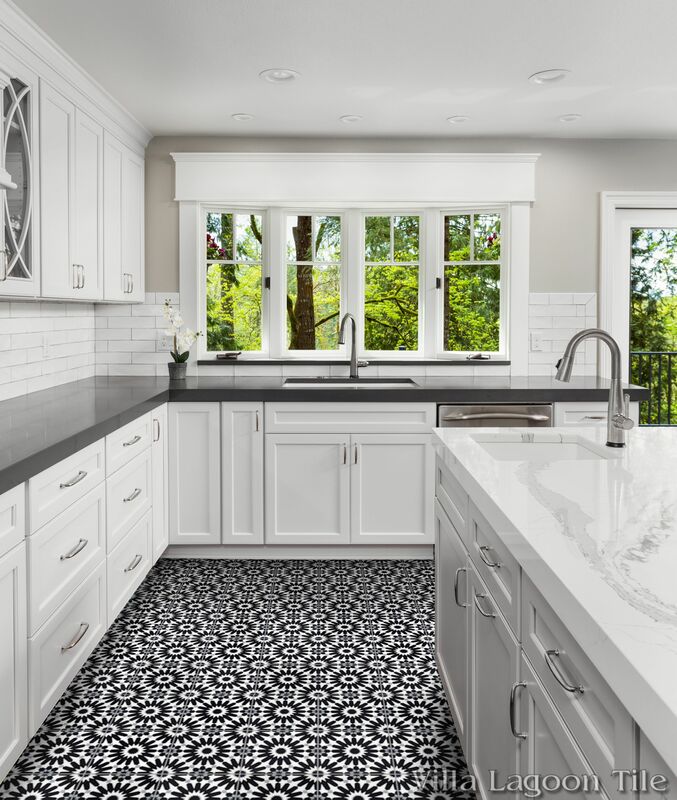 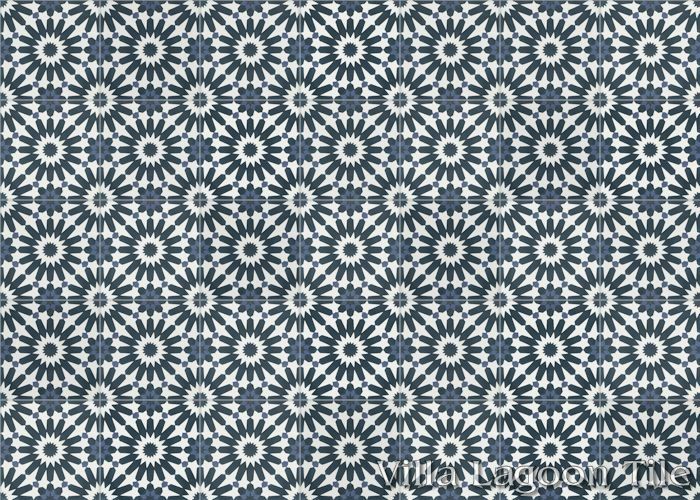 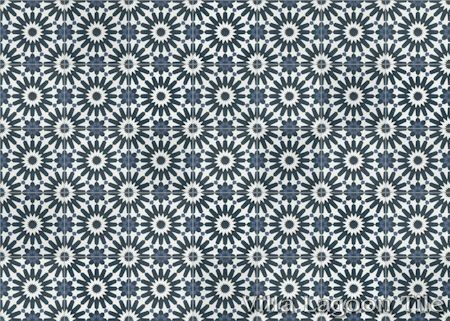 Villa Lagoon Tile's "Tangier Petite" cement tile pattern using Black, White, and Misty Gray from the South Beach Palette.